Christian Marriage Saver | Christian marriage advice, articles and our best selling christian ebooks. have successfully employed these Biblical principles. Why not join them and reap the benefits as well?! Sadly, at some point, it happens to the majority of marriages nowadays: You wake up one day and your once-blissful marriage is shattered. The spark is gone and your spouse wants nothing to do with you. You thought that once you said, “I do,” your common faith would keep you together, but now you’re not so sure. But do these commands still apply if your spouse is not submitted to the Lordship of Christ? And what if they’re even ready to walk away from your marriage? Might I suggest that they apply all the more?! In The Marriage Saver For Christians you will find a tried and true strategy to save your marriage, by employing Biblical principles that have helped numerous other couples like you. In this short manual you will learn what you can do to save or simply improve your marriage. Whether you are merely sensing something is not quite right in your relationship, or your spouse has already started divorce proceedings, practical steps for improving your marriage are within reach. We all know there’s no such thing as a perfect marriage, although some marriages may appear that way. Life isn’t all sunshine and roses. In John 16:33 Jesus said, “In this world you will have trials.” Truth be told, this sad statement applies to our marriages too. But Jesus finishes this statement by saying, “Take heart, I have overcome the world.” A happy marriage is a very real option, and God is honored when we have happy, healthy marriages. In this manual, through the Scriptures, my goal is to show you exactly how to win back your spouse and re-ignite the passion in your once happy marriage. Do you remember the feelings you shared when you first fell in love? Do you recall when it was impossible to look at each other without smiling, and just spending time alone together was the perfect night? Those were the days when you knew God’s blessings were upon you. You were happy together once. And if you were happy once, you can be happy again. Almost everyone encounters some sort of marriage problem from time to time. The reason is simple: You’ve been given practically no training! Sure, you may have done some basic pre-marital counseling, and you’ve possibly read your Bible or heard a few sermons on the subject, but how do you cohesively apply the bits and pieces you’ve learned in the midst of your current difficult situation? Is it truly possible things could ever change? When your prayers feel like they’re bouncing off the ceiling, what would God have you do? Yes, there is basic common knowledge that has been given to us over time in fragments, sayings, warnings, rules, recommendations etc. But, in every other area of human development we are given some semblance of formal training. In high school we were educated about everything: health, science, literature… but no one ever explained marriage. So, in essence, we are left to fend for ourselves with desperate prayers and occasional help from family and friends who are often not any better educated in this area than we are. From the day we are born, we’re forced to develop relationships with people, and sadly, the trial and error approach results in many errors that leave deep wounds. More often than not, we react to our spouses in ways that do not serve our marriage or even our own selfish needs. Nonetheless, we do it over and over again, hoping for different results. Are You Guilty Of These Marriage Destroyers? The Bible does teach us how to maintain happy, healthy, and godly marriages, but how often we forget or neglect these teachings. No one is perfect, so it’s only natural that we’d make some mistakes, even with the best of intentions. But unless you know how to correct these mistakes, and take action quickly to do so, these mistakes can, and often do, destroy marriages. Rescue Your Marriage … Without A Word To Your Spouse About Your Marriage! With just a few simple Biblically based techniques, you CAN save your marriage. Counseling often does not make sense because it must involve both of you. And, what if your spouse does not want to go? And no, you probably don’t need to see a shrink. My name is Radomir Samardzic and for the last 11 years I’ve been teaching people just like you how to repair their marriages – without involving their spouses in the conversations about the state of their marriage. I know you must be skeptical, as you’ve probably spent many sleepless nights trying to figure out where things went wrong. You’ve invested hours discussing it with family and friends, and even tried working things out with your spouse, but nothing has helped. And now here I am telling you not only can your marriage be saved, but you can do it even if your spouse has already moved out. Even, if he, or she refuses to speak with you about your marriage. I’ll admit it sounds too good to be true. But it’s not! After all, isn’t the Gospel itself the truest message of all that undoubtedly seems too good to be true?! And in this message lies our hope of eternal salvation and daily transformation. Synthesizing age-old teachings of Scripture, everything I’ve learned from the last 10 years of my marriage coaching practice, and the insights I’ve gleaned from my own successful 36-year marriage, I’ve developed a proven, repeatable system that has worked over and over and over again. And you can read it today. 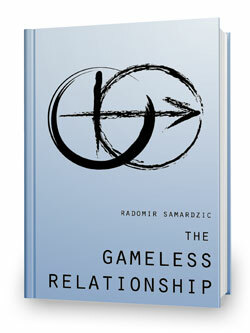 e-book, “The Gameless Relationship” for FREE. 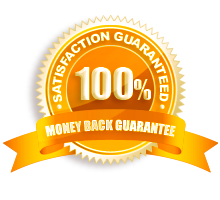 Guarantee: After applying the principles laid out in this e-book, if you don’t repair your marriage, I will refund every cent of your money upon your request. Note: Not every marriage or relationship can, or should be repaired. If you are in an abusive relationship, get out! Drug abuse or mental illness in the family are some examples that might need professional medical and/or psychiatric attention as well. The Christian Marriage saver is meant only for mentally healthy couples. The Marriage Saver is just 25 pages long. It takes most people only 30 minutes to read. So why did I write such a brief marriage repair manual? And more importantly, how can something so short possibly help you? As you know, there are hundreds of “marriage gurus” out there. And hundreds of books promising to restore your marriage. Most of them contain chapters with titles like “99 different ways to save your marriage”. But if just one of them actually worked, what need is there for the other 98? You don’t need 99 different strategies…You just need ONE good one. That’s where The Christian Marriage Saver stands alone. I don’t bombard you with a bunch of ideas that might help. I’ve cut away all the fluff and fully-outlined ONE strategy based on proven principles. Follow the simple, results-based strategy inside and you can repair your marriage, no matter how dire the situation. Jesus said that all the Law & the Prophets hang on this one commandment: To Love One Another. The Christian Marriage Saver is a practical guide for how to do just that. You won’t be forced to wade though page-after-page of self-analysis and psychological assessments. You’ll jump right into a clear-cut marriage repair strategy, and with God’s help you’ll discover exactly what steps to take to win turn your situation around. What is one thing that a marriage should not be based on? When it comes to marriages, most of us instinctively make this fatal mistake. Why fixing your marriage often sets off a domino effect and other areas of your life improve soon after. Often, the biggest obstacles in people’s attempt to repair their marriages are _________ (It’s not your partner. And no, it’s not you). Marriages are serious business right? WRONG. Here’s how you should really view your marriage. The 4 most effective rules to fixing any marriage. What the French know about successful marriages that the rest of the world (especially we Americans) haven’t figured out. The things YOU do that cause fights. You probably don’t even like doing them, and once you stop, your spouse’s will to fight melts away. Why you should immediately stop working on your marriage – and what you should do instead. The coffee test: How to instantly diagnose if your mood is causing problems. If you are thinking of leaving your spouse… make no move until you read the last paragraph on PAGE 24 into page 25. You’ll learn exactly why the percentage of second marriage divorces is higher than first marriage divorces and the one thing you must do to avoid becoming a statistic. As you can see, this little manual contains some powerful advice. Over 50,000 people have used this manual to repair their marriages. Here are just a few comments from people just like you who were once unhappy with their marriages. Note: The testimonials, although authentic, may not be typical of the results that you may have. I can hardly believe what a change this manual has made in my life. It is like I am a new person. My marriage with the man I love is completely new, and he is much happier. We talk openly about things that used to be painful. I pass places on the street where we used to meet, and whereas before I would be sad to see them, lamenting times gone by, now I am unaffected and just smile at the memory. But the remarkable thing to me is that other areas of my life are so much better. I have to fly all the time for my job, and suddenly I am no longer afraid to fly. I used to have panic attacks and they are gone. I’m a little afraid to wake up from this dream, because it seems too good to be true in a way. But the great thing is that, instead of worrying like I used to about whether he will be in my life in the future, I am free to imagine a great life for myself. I hope he will want to share it, but it will be great with or without him. Oh, one more interesting thing is that some of my friends are frustrated because I don’t talk about him to them any more like I used to. It makes me realize that much of our friendships consisted of complaining about the men in our lives. I have no interest in it anymore. So, this is all to say that I can’t believe what a difference you have made in my life. I used to see other people in marriages and think, what class did I miss in school that everyone else had but I missed, so I don’t get to have marriages like that? Now, I have had my class! And the best part is that I am no longer jealous of other people being in committed marriages. I feel freed from years of misery. This is the simplest, most enlightening book I’ve ever read. I’ve looked through many self-help books. By the time I finish 100-200 pages of crap, I’ve lost myself in what specific help I was looking for. I’m a new husband with an uncompassionate non-empathetic wife and the cutest 2 year old. I’ve been married 3 years. I love her and my child because love has reserved a place in my heart for better or worse. I’m seeing a psychiatrist for my troubled marriage. They don’t seem to cure what’s really ailing me, which is the heartache of love. In one week’s time your wisdom has turn the tides of my failing marriage. I have empowered myself as a confident male and followed your 25 pages of pure sweet knowledge. My wife is now calling and wanting to sweet talk and she’s listening to my new-found rules I’ve laid down for myself. In a way, your book is all about helping me and through that is a byproduct of a happy wife. Its working so well….. I just might keep it a secret for awhile, but it will work for the ladies to. Please feel free to use me as a reference for doubting husbands. Nobody can truly believe the wisdom in your book unless he/she reads it and all in one night which is awesome. A personal note to all the husbands suffering in America and elsewhere: This book is a universally true that works to win your love back. I stumbled upon your site when I was groping in darkness with the reality that my marriage had hit a path of no return. My central problem was: “nobody in this world understands me!” I had knocked on almost all the doors and none opened to me! Then I saw your web site and the content was so compelling and genuine that I decided to buy the manual. It indeed created magic. How well you have condensed the whole secret of human marriage in just 25 pages! Very glad to say that I have won my family back. Indeed, I have no words to express my gratitude. I pray that your message continues to save more and more families. I am currently deployed in Afghanistan and I am having marriage problems obviously. Well, thanks for all your help. After reading the 25 pages I already feel better. It’s hard to put a price on something this powerful. You could spend thousands of dollars on often unnecessary therapy and counseling and hundreds more on thick books penned by self-proclaimed “marriage gurus”. Consider the time you waste in these activities when instead you could be in action, repairing your marriage. Or you could take the fast track to marriage repair. Download The Christian Marriage Saver manual for just $47.95, spend a few minutes reading and you may see your relationship in a completely different light..
Plus, The FREE Gameless Relationship will provide you with a reality check about what elements a good Christian Marriages should have. You’ll begin to understand why your marriage is in trouble. It doesn’t matter how often you argue. You will learn how to start communicating again, but now, in a much healthier way. If you were happy once, you can follow the step-by-step advice inside The Christian Marriage Saver to help you save your relationship. 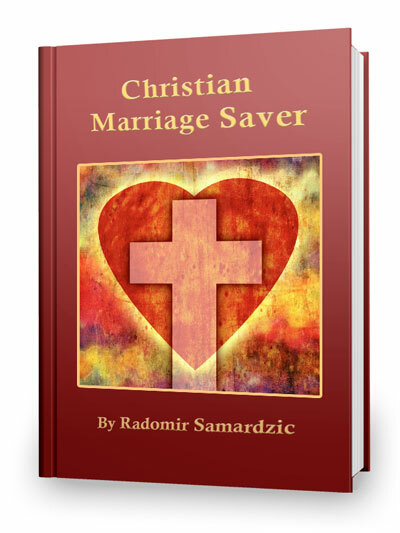 Order The Christian Marriage Saver and try the simple marriage repair strategy inside. And if you can’t repair your marriage, I will refund every cent of your money upon your request. The worst thing that can happen is you get every cent of your money back. But think about the best thing that could happen – a happy, healthy marriage that could last the rest of your life. If you truly want to the marriage to survive and flourish, then I want you to remember this day because today determines the fate of your marriage. Take action today and you can change what tomorrow brings. Do nothing today and tomorrow will look no different. You have nothing to lose. And you stand to gain a happy, healthy marriage filled with excitement and laughter. So download The Christian Marriage Saver right now and take the first step towards a warm, lasting marriage. Even if its 2 a.m. you can get your copy of ‘The Marriage Saver’ Instantly. Remember, whatever you’ve tried up until this point has not worked. You must try something NEW. Download the Christian Marriage Saver today. You’re completely covered by my no-risk personal guarantee. If you don’t repair your marriage within 60 days by using the instructions from The Christian Marriage Saver, I’ll refund every cent of your money. 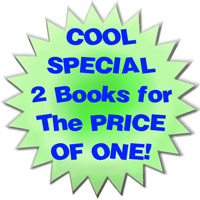 I purchased your book and am amazed at the things I’ve taken for granted and the things I’ve never thought of before!! Thank you for opening my eyes to this new insight. I have read the book through once and plan to read it everyday and apply it to my life and to our marriage. Yes, my daughter and her husband have decided not to separate and are now looking for a new apartment together in NYC. Your book was totally significant in giving her the strength to not retaliate, put on a sunny disposition, accept his behavior and change it! A pretty great combination. Many, many thanks for this fine little book. Thank-you! Thank-you very much! This IS the way. By being truthfully honest and seeing it from HER point of view. Now, I need to get on with building a life, and if she wants to be part of it, THEN we can build a marriage. Thank-you Sir. One day you will REAP your reward. Note: Not every marriage can or should be repaired. Abusive marriages, drug abuse or mental illness in the family are some examples that would need professional medical and/or psychiatric attention. For Your Security, All Orders Processed on a Secure Server. Goods and services provided by DDC Global (CA, United States). Copyright ©2004-2014 The Relationship Saver.